whistling a kiss is just a kiss, well, is that just what they are? Do you really want another chance to mess things up again? Said you’d come to make it up to me, would I make it up to you? that this time would come and go? 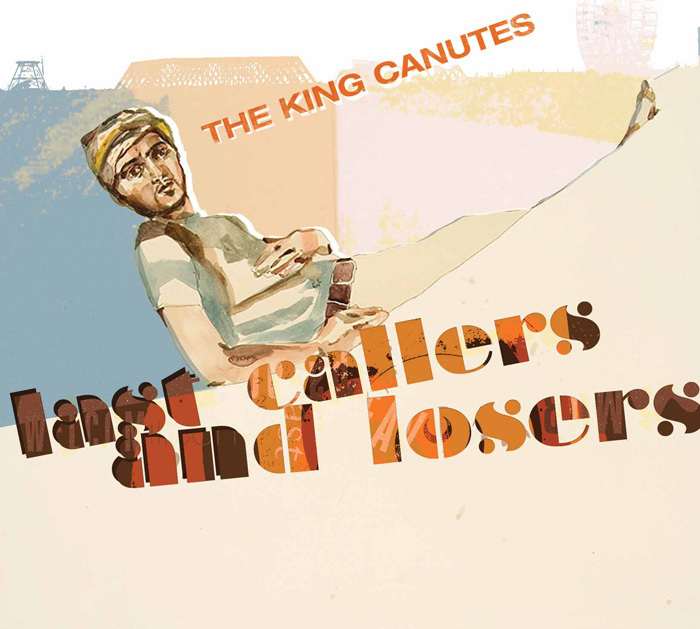 The King Canutes are: Richard Alwyn Fisher (vocals, acoustic and baritone guitars, writer) and Keir Woods (omnichord, backing vocals), with a shifting cast of other musicians. On this track: Scott Johnson (drums, percussion and slide guitar), Seryn Potter (vocals), Dana Kletter (vocals), Alex Cox (bass), Margaret White (violins), Anna Callner (cello), Jim Bentley (recording and mixing), and Scott Easterday (string arrangement). There were collaborations between Keir Woods and me initially on the arrangements. Scott Easterday did the string arrangements. The cover was a collaboration between Peregrine Honig and the designer Drew Padrutt, after Peregrine and I went back and forth on what it was going to be a picture of. Jim Bentley and I sent versions of mixes back and forth to Keir in Paris trying to get it sorted out to where we were all happy. It’s crazy collaboration all over this record. The band takes its name from King Canute, ancient king of England, legendary for failing to halt the onrushing tide. Two apocryphal stories exist for his motivations: One claims his arrogance propelled him to have his throne set up in the surf, where the unyielding waves famously swept him away. Others suggest his true motivation lay in proving to a sycophantic court the limit of a king’s power. Alwyn and Woods trade in such dichotomies and ambiguities within their songs, where characters struggle with the ramifications of their decisions. And The King Canutes is a great name. Yes wondeful name, though right now it is probably the collective noun for hedge fund managers. And I like the music very much too.